As parents and teachers, we have heard many times about the benefits of learning Spanish. We want the best for our children and would like them to experience these advantages. However, have you ever considered what motivation a preschooler has to learn Spanish? Well, from their perspective, they have none. They have no good reason or motivation to learn Spanish. As educators, we need to provide them with the motivation. We must build it into our programs. 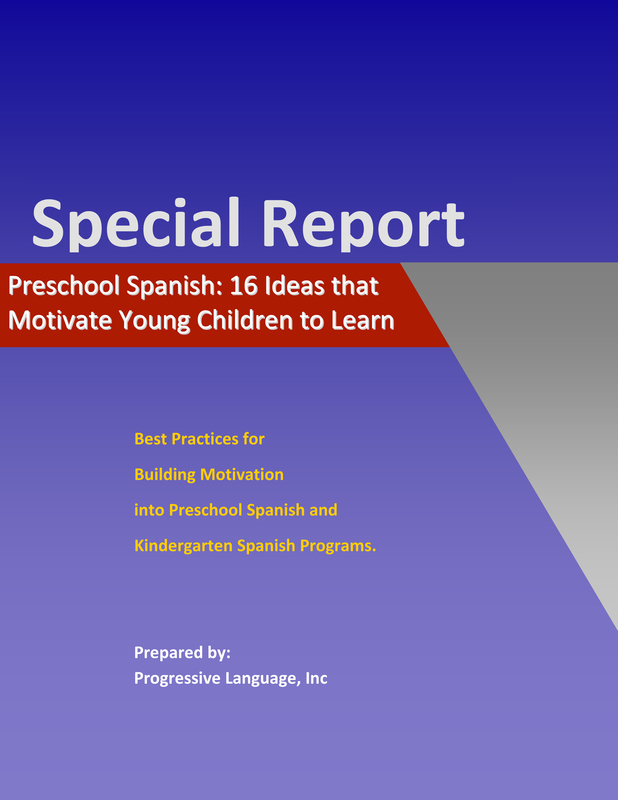 Progressive Language has created this special report that provides 16 best practices on how to build motivational elements into preschool Spanish programs. To get your free copy, click the report cover on the left. Interested in learning more about the resources Progressive Language developed that integrate many of these motivational factors?